By Phillip G. Bell, Ph.D. In recent times, several professional and elite-level sports have undergone intense scrutiny by their governing bodies and the public media for the wrong reasons. For example, questions about use of performance enhancing drugs (PED’s) have frequently been directed toward numerous individual athletes. In addition, we have seen recently how evidence of state-sponsored doping programs can result in broadly barring all the athletes and teams of a nation from international competition. One sport that has an acknowledged legacy of PED abuse is elite road cycling. Given this history and the current PED climate, there is a public uproar for cyclists to be fully transparent regarding their routines, medicines and physiological make-up. A reluctance on the part of these athletes to divulge their training and nutritional routines is understandable. Further, it would be unethical to expect them to release personal medical information in many instances. Yet, publishing the details of their personal physiological capacity is, perhaps, a step in the right direction for cyclists who compete at the most elite level of the sport. Little data exists within the public domain detailing the physiology of elite cyclists and even less for a Tour de France champion. Of course, vast speculation persists about what it takes (physiologically speaking) to win such an event. Indeed, these thoughts are what led to our case study that was published in the January 2017 issue of MSSE. In this case study of a two-time Tour de France champion, we reported the responses for numerous physiological variables collected during cycling tests that were administered in an environmental chamber under both ambient and hot/humid conditions. More specifically, we assessed and analyzed the following: body composition (dual x-ray absorptiometry); submaximal and maximal aerobic profiling (cycle ergometry and online gas analysis); gross cycling efficiency (i.e. amount of work completed per unit of energy cost); thermoregulation responses (skin and core temperature); and sweat rates and electrolyte content. and an ability to maintain high gross cycling efficiencies in hot and humid conditions. Collectively, the data demonstrated what may be the prerequisite physiological characteristics to be a Tour de France champion. 1Author’s Footnote: Given the unique nature of this paper and the interest it has created within the cycling community, it is important to give some background context. First, the athlete drove the initiation of this case study, independently of his employers. Second, our laboratory was approached for the study given our own expertise, independence (i.e., not affiliated with any sports governing bodies) and ability to conduct thorough, robust and timely testing. Thirdly, it was made clear to the athlete that, although the final peer-reviewed article would be anonymized, his unique characteristics and achievements would likely increase the risk of public identifiability. Viewpoints presented on the ACSM blog reflect opinions of the authors and do not necessarily reflect positions or policies of ACSM. Phillip is a principal scientist at the GlaxoSmithKline Human Performance Lab (Brentford, UK). He earned his Ph.D. at Northumbria University (Newcastle, UK). 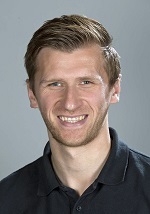 Phillip is an active researcher with primary interests in modalities to accelerate recovery following participation in sports performance by high-level athletes and the impact on subsequent adaptation. From an applied perspective, Phill has provided physiological support to multiple Olympic and World Championship medalists in a range of sports. This commentary relates to a research paper authored by Dr. Bell and colleagues that was published in the January 2017 issue of Medicine & Science in Sports & Exercise® (MSSE).